Yo yo, it's market Friday again? Exciting, because I always take so many pictures in all kinds of markets! 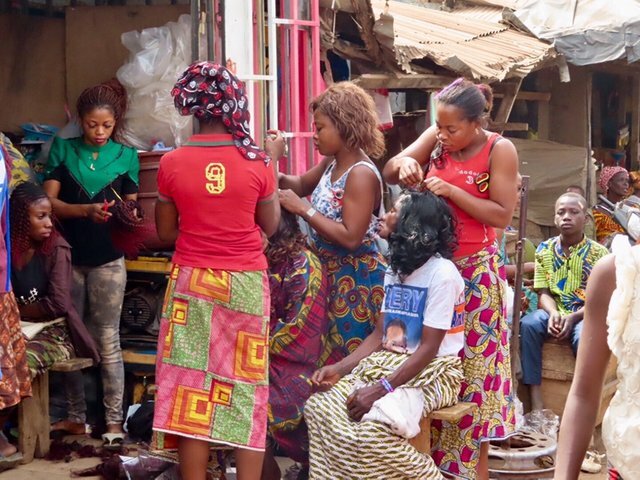 Here are some more photos taken in the markets from my West Africa trip! Above is the chicken market. I don't know why I made such a face, wasn't I supposed to be happy to see chickens? 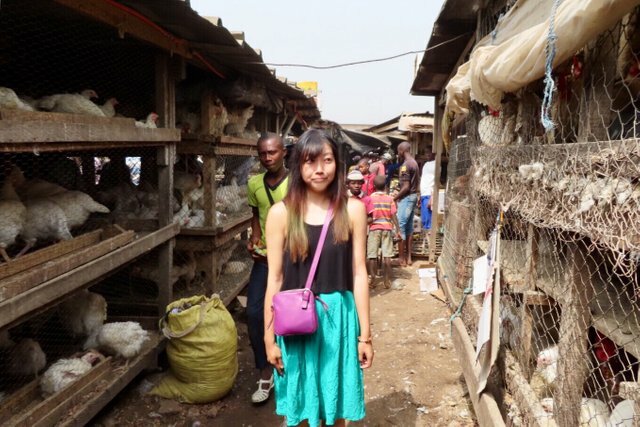 Chicken is very, very important in West Africa. Be prepared to eat chicken every day if you plan to travel there! Ice cream, to be more specific, frozen yogurt, because it's literally frozen yogurt. So, tell me, how can I have hair like theirs? I constantly heard people saying “Chinois, Chinois” when they saw me. (But shouldn't it be Chinoise? 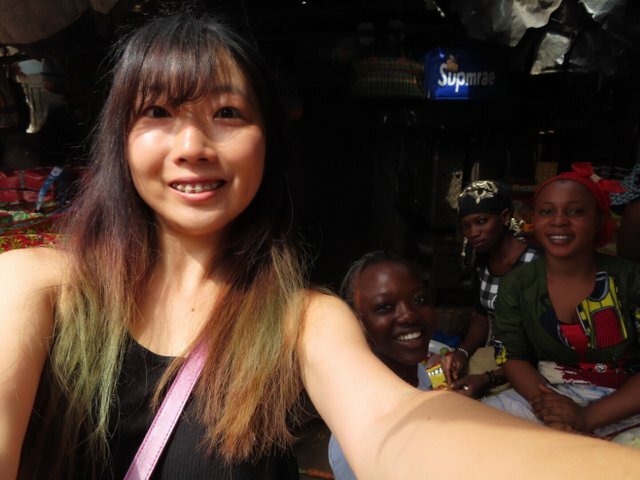 lol) I normally get pissed off when I heard "nihao", "ching chong" or things like this in Europe, but oddly enough I was totally fine with it in Africa, don't know why... Anyways, they wanted me to take a selfie together with them, so here it is! This happened a lot in places like Colombia, CI or Iran. Nice to visit those places where Chinese tourists are not everywhere yet! Do you dare to eat these? I didn't, coward! Wait, is it really for eating though? 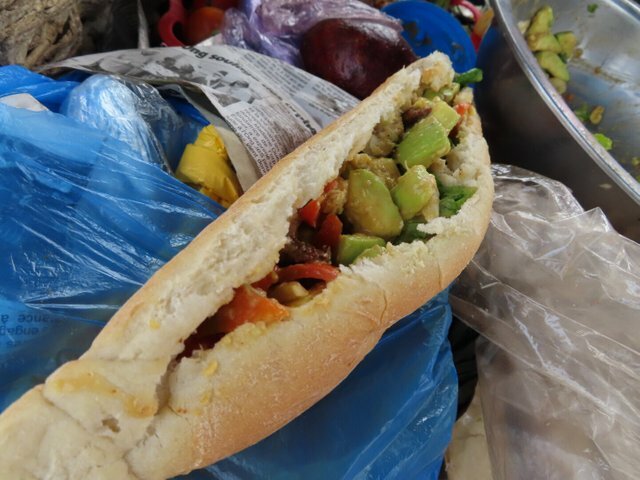 Sandwiches you get in the market, they use newspaper to wrap food in Africa, which is not bad, hygienic enough? At least I survived! One of those moments I'm glad that I have a strong stomach, trained by eating street food for years in China ^^ Oh and you can read while enjoying your food. Oh, yes! You are a real trooper, Joy! 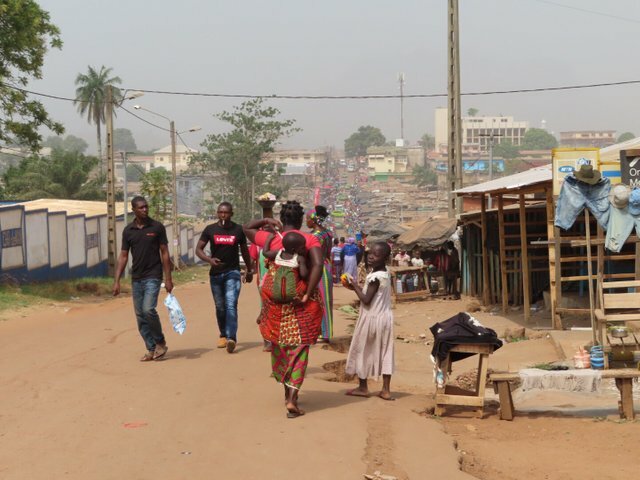 @joythewanderer It could possibly be a Ghanian market, but, Sam @mcsamm usually brings us to the Kumasi or another large market. 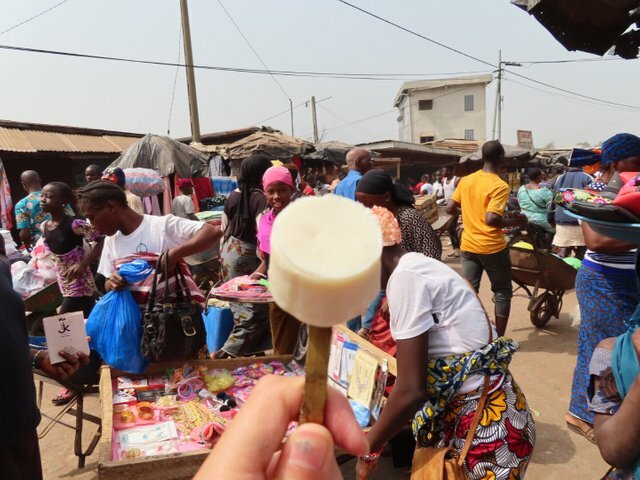 But, I must say, I have never seen a West African market that wasn't colorful. Do you remember where you were? Such a busy place, isn't it? 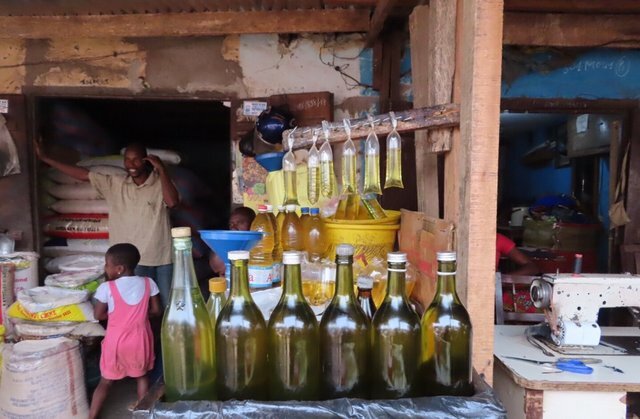 Life doesn't stop there at the markets! That is a long road home, with the big city in the background. I wonder if they would do my hair? Yours would take all day it is soooo long! You didn't try those little wiggly insects? It's protein! Sprinkle them on your sandwich for a little bit of crunch! Come on! Be a sport! Thank you so much for letting us tag along with you! It really was a lot of fun and the different market from what I am used to seeing was awesome! Can I ask you to drop your link here so all the posts will be in the same spot! Much appreciated! I know!! I promise you that they taste better than they look! Subscribe and increase the reward for @scisteem :) | For investors. @cardboard: is this misplaces somehow? I do not see a post from @scisteem here. Sandwiches wrapped in news paper?? That doesn't sound quite right for food, does it ? 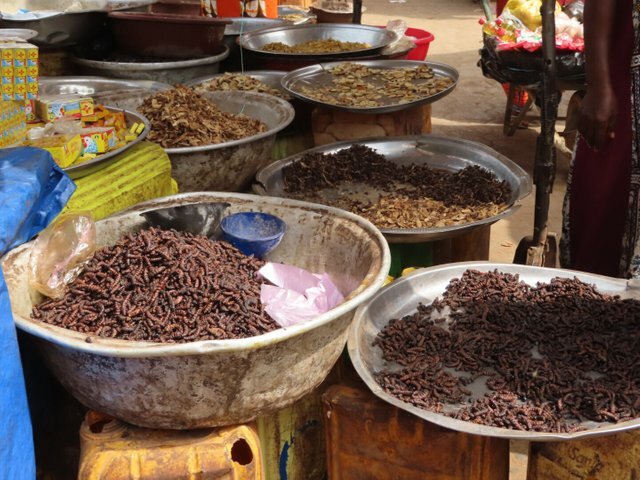 I would have been a coward too on the crunchy worms. I enjoyed seeing your marked friday. LOL You sure that is not the pet food section with the worms?